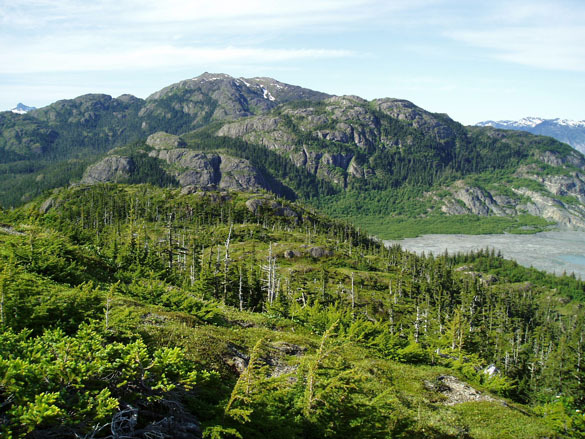 Wooster geology graduate Nathan Malcomb, now a scientist with the Pacific Northwest Research Station of the U.S. Forest Service, has just published an important paper with his advisor Greg Wiles in the journal Quaternary Research (affectionately known as “QR”). This work comes directly from Nathan’s Independent Study research with Greg, a project that was supported by the Henry J. Copeland Fund for Independent Study at Wooster. (A view of their field area in Valdez, southern Alaska, is shown above.) This is one part of Greg’s very productive Alaskan research program with his students. 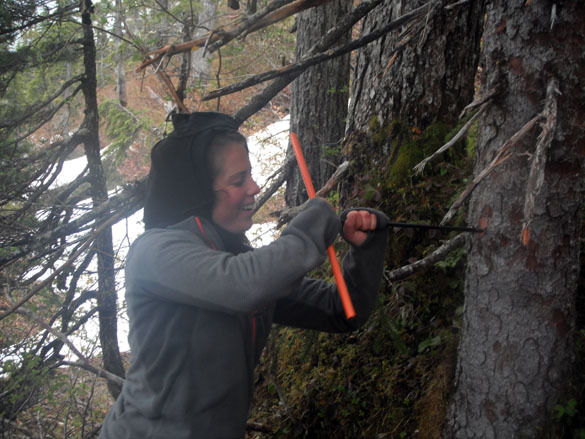 Nathan and Greg used tree-ring series from temperature- and moisture-sensitive trees to reconstruct annual mass balances for six glaciers in the Paciﬁc Northwest and Alaska. They show strong evidence to support their hypothesis that the retreat of these glaciers we see today is a unique event in the last several centuries. This melting is “dominated by global climate forcing”. Recent climate change is again demonstrated by careful data collection and well designed tests. 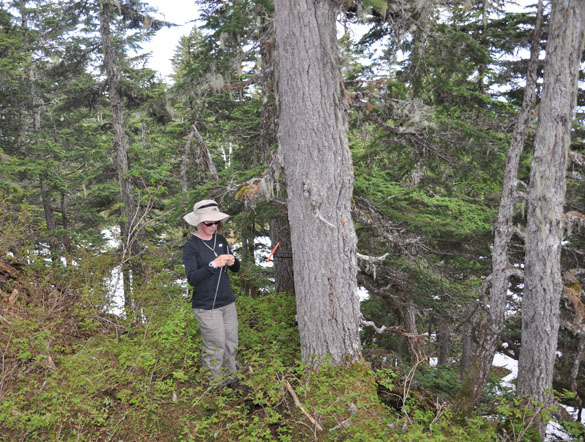 Sarah Appleton (’12) on one of the Alaskan coring expeditions. Lauren Vargo (’13) demonstrating excellent coring technique.